So I've spent a lot of money in January. More than I want to even contemplate adding up because there is a possibility I may cry. However the bonuses of spending a lot of money is that I now have lots of new things. So I figured a collective haul post was in order. This isn't everything I've brought in January just some of my favourite bits. I love having a nosey at what other people have brought so I hope you do too! 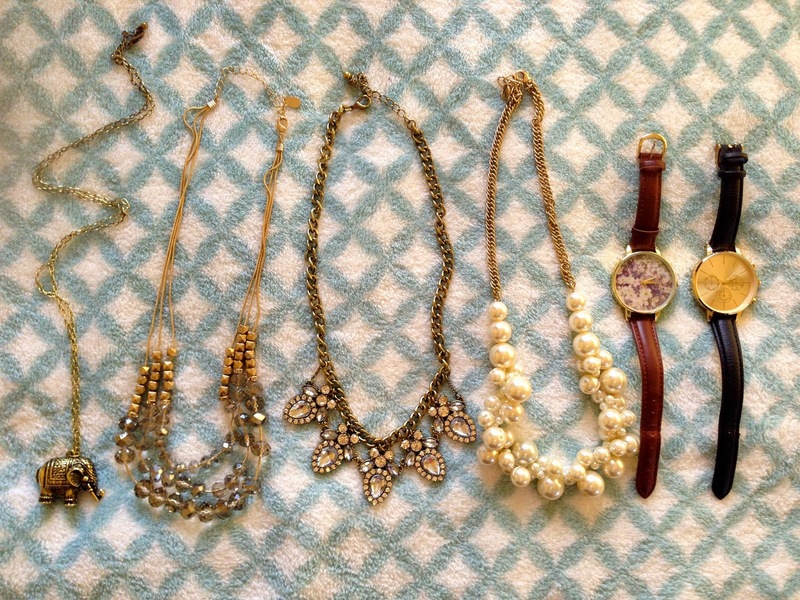 I often go through phases of obsessions with buying certain things, clothes, handbags etc. At the moment that obsession is makeup, and I've picked up a lot of new bits and bobs since the start of January. 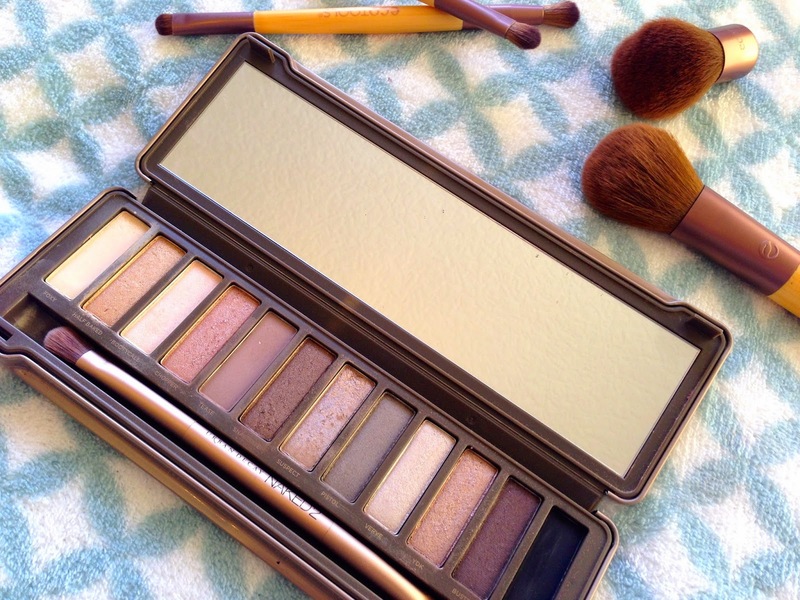 My favourite purchase has to be the Naked 2, I'm a bit late to the party on this one, but I am literally obsessed, it is beautiful, and such amazing quality, I actually picked this palette up while I was in Berlin as a little treat to myself. I hadn't heard much about Cargo Cosmetics but when I saw it on Fragrance Direct for only £13 I had to pick it up, you can read my review of it here. I've been struggling with chapped lips recently so when I saw this valentines edition lip scrub in Lush I thought I'd give it a go, and I'm glad I did. This tastes like sweets and I'm slightly obsessed with using it. Along with my Burts Bees lip balm this has saved my lips! I'm a lover of lip crayons, I think they're so easy to use and the Revlon ones stay on forever! I picked up Elusive as it's a lovely matte pink something I haven't tried before. I also picked up a Soap & Glory lip gloss sticks as they're the only lip glosses I use. I love that they're not sticky and leave a lovely shine with a hint of colour. Ever since I got this dressing gown I've only taken it off when I've had to leave the house. It's the softest cosiest thing and It's keeping me toasty warm in my freezer of a bedroom! I picked these boots up in the New Look sale for £15, and I love them, they're comfortable (for heels) and Im loving wearing them to slightly dress up a casual outfit. The Living Well One Line A Day 5 year journal is something I'm so excited to use, you write a line each day for 5 years, it can be whatever you want, although this journal is tailored more towards living well so I've been trying to document my journey with mental health so I can look back on it in a few years. Before Christmas I attend a Secret Santa event in Manchester held by Ladbrokes Bingo, at this event I was very lucky and won a £50 Love 2 Shop Voucher! So once the sales hit I decided to get spending, with my voucher I picked up a few bits from New Look including a super comfy pair of black high waisted jeans, and this lovely purple and navy checkered shirt. I've been loving wearing them together with my new black boots. I've been loving checks and strips at the moment and seem to gravitate towards them, hence the other checkered top and the two striped ones! Recently I've picked up some great jewellery bargains, including these necklaces that all bar the elephant one were in the sale with over 50% off! The little elephant one I picked up in forever 21 in Berlin as I've got a thing for elephants at the moment and they seem to be on everything. I'm also loving these watches, which I think look a lot more expensive than they were (£13). They're both from New Look, and I originally got the black one which goes with everything and looks really smart, and then I saw the brown one with the gorgeous floral background and decided I needed that one too! The Brandenburg Gate Pandora charm was a treat to myself whilst in Berlin, I'm so happy I got it as I had such an amazing time. I also love that it's got a little heart on. I'm slightly embarrassed by the amount I've brought recently, especially as this isn't all of it! I think a spending ban might be needed for February to make up for all this spending. 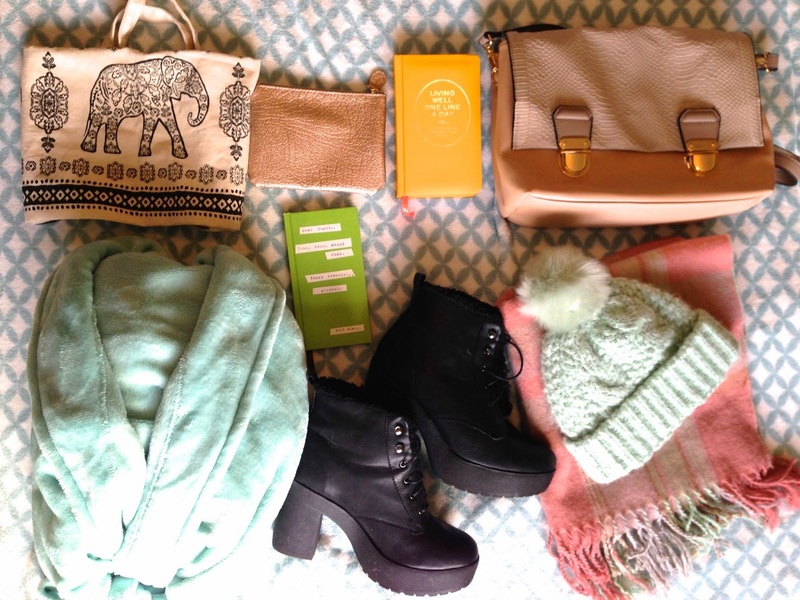 Let me know whats your favourite item of my haul, or if you've treated yourself to anything nice recently. If you've been following me on social media you'll probably know I was a very lucky girl this Christmas. Josh treated me to a short trip to Berlin as my Christmas present, so at the beginning of January we headed off for 4 days in beautiful, but cold Berlin. After filling a big suitcase, going over my weight limit and packing 5 different scarves, of which I wore 3, we were ready to go. 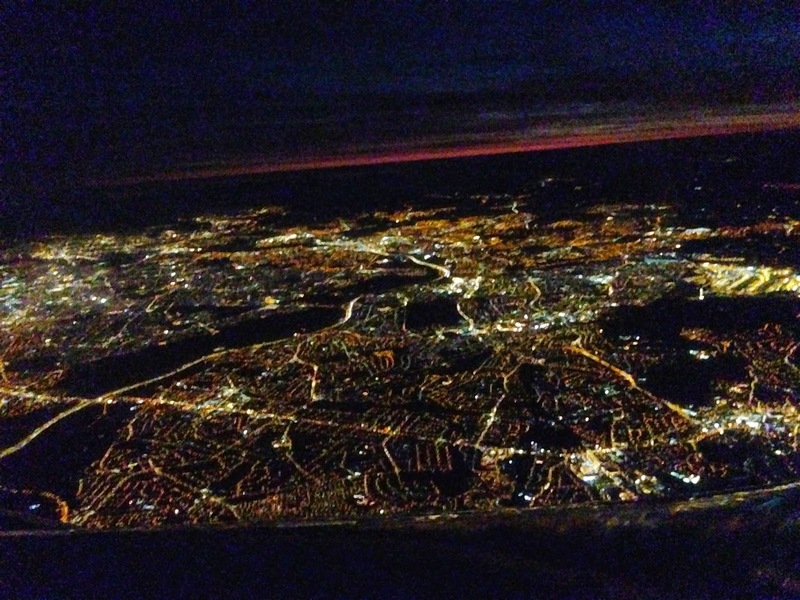 A 3am wake up call was not how I wanted to start the trip though, although it was nice to see Manchester all lit up, and the sun rise in the sky. We eventually arrived and navigated our way to the hotel thanks to the pretty great train and underground system in Berlin, and our hotel was lovely, the boy really had done well. Right next to an underground station and just off one of the main shopping streets in Berlin, the room was stylish and the bed was the comfiest bed I've ever slept in. The only slightly awkward thing was the bathroom door being less than soundproof, meaning loud singing or putting the shower on during certain toilet trips was needed. I love him, he loves me, but no one wants to hear another person shitting, no matter how much you love them! After a quick refresh for me, and nap for Josh we headed out to have a bit of an explore, we decided we just wanted to walk around the area rather than head out for anything specific. Our first stop was the KaDeWe the biggest department store in Berlin, and it was amazing, it had a whole floor selling food, vegetables, chocolates, meat and bread. It also had bars selling meals and drinks or coffee I loved wandering around just looking, even though it was pretty expensive I made Josh promise we could come back! After grabbing some expensive amazing lunch in the restaurant upstairs we headed back out into the freezing cold and stumbled upon Berlin Zoo. When we found out it was only 10 euros each we figured we'd have a look and check out the animals. As zoos go it was nothing special, and although some of the animals seemed happy, some parts of the zoo got me quite upset. The big cats were kept in really small inside enclosures with concrete floors and they were constantly pacing back and forth, to me they just looked unhappy, one of the lionesses looked me straight in the eye and I could have cried. We left pretty quickly after that. I do love these two photos though. By the time we'd finished in the Zoo it had got dark and a bit rainy. From the Zoo we'd seen the Victory Column all lit up so we decided to go have a gander, and it was really pretty, like the Arc De Triomphe in Paris, the Victory Column sits in the middle of a roundabout and you go through an underground tunnel to get across. It's definitely something I'd recommend seeing at night as it's a lot prettier all lit up. Totally shattered from a long day we headed back to the hotel, got changed and headed out for dinner, there was a little Italian restaurant close to where we were staying so we decided to just go there as we were so tired. It turned out the be a chain called Vapiano, and it was honestly amazing, the food was cooked in front of you and was so cheap but tasted great! Me and Josh both agreed that his Carbonara was the best we've ever had. I'd definitely recommend checking it out. I think there is one in London! Our first full day in Berlin was probably the coldest day we had, and we spent the day walking around, in fact we probably walked about 10 miles! The first stop on our list was the Brandenburg Gate, and we decided that rather than get the underground we would walk through the Tiergarten as it led all the way from where we were staying to the gate. It was huge but also lovely, and I can imagine it being a great place during summer. The Brandenburg Gate is definitely impressive and one of my favourite places in Berlin, it's always filled with people but theres lots going on, there was also some big information boards up that told you a bit about the History of WW2, which we mostly knew but it was good to read about it while in Berlin. Especially because our next stop, just around the corner was the Jewish Memorial. 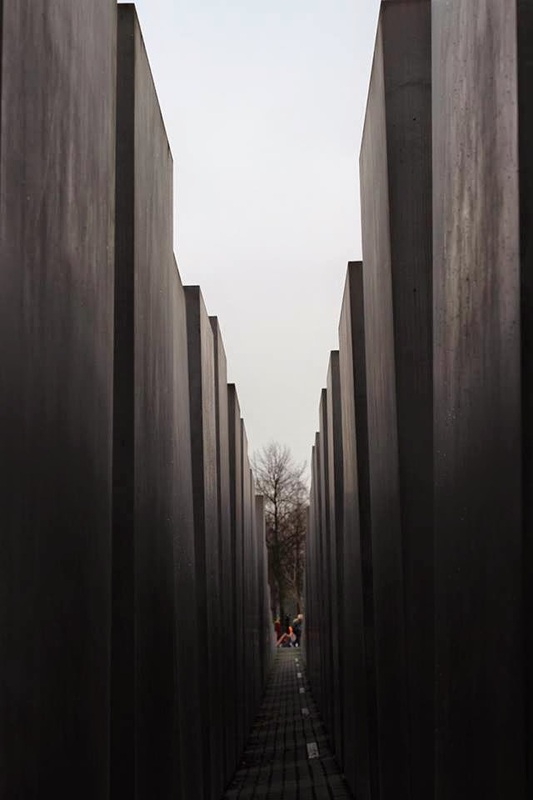 If you ever go to Berlin this is something that is definitely on my list of places to go, I like that there is no explanation and you can take what you want from the memorial. Walking through the rows and rows of growing columns you start to feel a bit enclosed and lost, both me and Josh found it really interesting and it made us think. It's so important not to forget the past, and a memorial like this will always be there as a reminder of all the people who lost their lives. 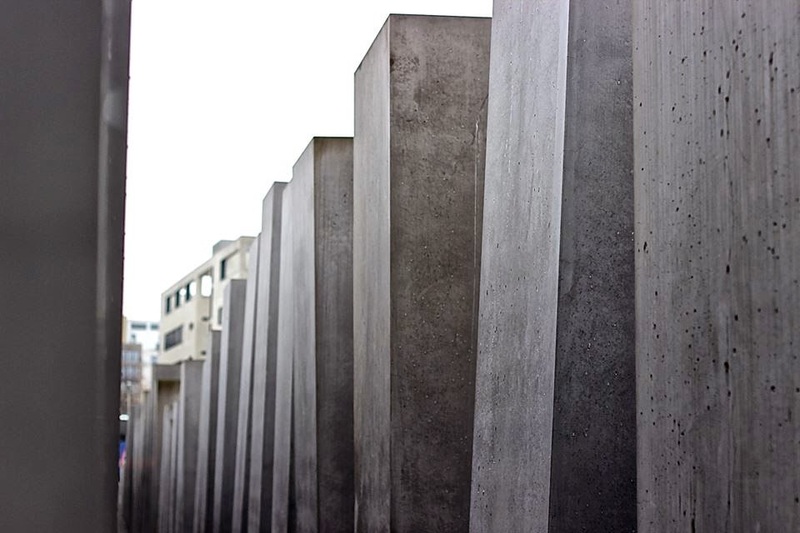 The next place on our list was Checkpoint Charlie, but while walking there we found ourselves at the Topography of Terror, a free museum on the grounds of what was the SS Headquarters. This museum is probably top of my list of things to do in Berlin, the museum mainly focuses on the history of the SS, but there is so much information to read, but also so many photos I'd never seen before, some that shocked me (a photo of people being hanged), and also some about things I'd never known had happened during that time. We didn't have enough time to fully read everything, but it was a great museum, and for free, we couldn't have asked for more! Checkpoint Charlie is a famous check point between what was East & West Berlin, now it's just a small hut in the middle of the road, more of a tourist attraction than a historical sight to be honest. I found the information boards more interesting than the checkpoint as I got to read about the history of the wall, and the stories of people who tried to cross from the East side to the West. It's crazy to think how recently the wall still stood, there are still remnants of the wall across the city, and you can follow the path the wall took if you want. We decided to head back down to the central area, which meant walking down Friedrichstrasse, a pretty great shopping street, but I restrained and saved my spending until the last day! Josh and myself are big fans of just wandering around and exploring what we find, so we made our way down towards Alexanderplatz, along the Unter Den Linden a road surrounded by beautiful buildings, a lot you can tell are newer buildings rebuilt to look as they had prior to being bombed, however there were also older buildings. Museum Island was around this area so we decided to take a look at all the buildings, we're not massive Museum fans so we didn't go in any, but they're all amazing just to look at from the outside, the Berliner Dom was one of these beautiful buildings, it sits just on the edge of the river and is so impressive. That night we decided to eat at The Hard Rock Cafe, as I'd never been to one before and Josh is a big music fan and wanted to see what memorabilia they had, and I am very glad we went here. The food was so yummy, huge portions but it tasted so good, they also do amazing cocktails, I could have drank 10 of them! We headed back to the hotel feeling pretty tired after a long day walking, I ran a bath and we relaxed for the rest of the evening before heading to bed. Another post of the next two days is up, so you can read that here. Sorry this post was so long, but I wanted to recap everything as I love reading my travel posts back and remembering what I did. 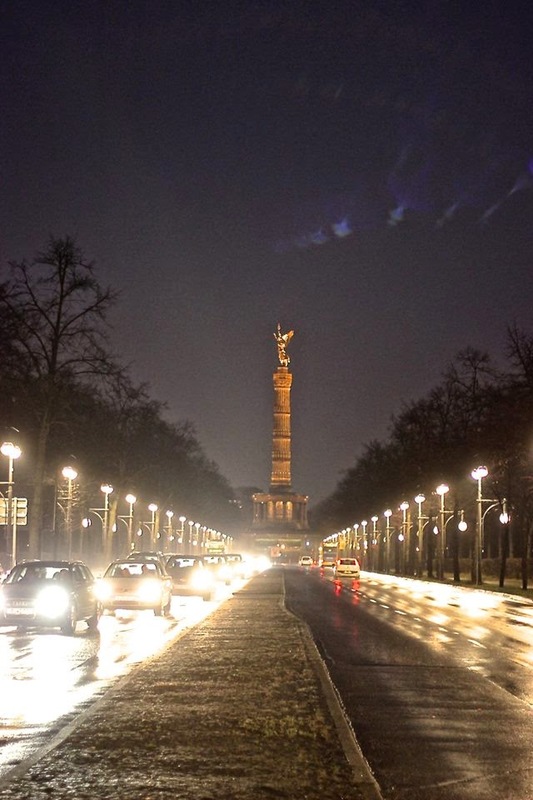 What would be your top thing to do in Berlin? If you've got any travel posts please link them, I love reading them! One of my goals for this year is to read more books, and I've ambitiously set myself a target of 50 books in a year! This is probably an unrealistic target, but I'm going to try my hardest to achieve it, you can follow my Goodreads account if you want to see how badly I'm doing. For Christmas this year I received a kindle from my mum, so that's definitely been a motivator in reading more, and a lot of the the books on my to read list are on the kindle. After reading, and loving Cloud Atlas when I saw this book in Waterstones I immediately wanted it, especially with such a beautiful cover. Josh actually got me this for Christmas and it's probably the one I'm most excited to read. This book follows the life of Holly a teenage runaway who meets a women looking for asylum, it isn't until 'decades have past that Holly realises what sort of asylum the woman was seeking.' The story is described as a metaphysical thriler, and I think it's definitely going to be an interesting read. I received this e-book for free after buying another book on amazon. It's a romantic realistic story with the premise of meeting a stranger on a plane and them changing your life. A women looking for her soul-mate and a cynic who has learnt to never put his faith in others. This seems like it could be a heartwarming read, but nothing too difficult. I think I've had this book for almost a year! It was actually in my previous To Read list and I never got round to reading, which is slightly shameful, especially considering I think it sounds like a really interesting read. The story is about a women who keeps being born to the same family but lives a different life each time, her choices and actions result in her living a different life and the book explores these lives. Another free e-book, why would I say no?! Another Chick Lit, romantic comedy style book, this one is a shorter story so will probably be a nice easy read for when I just want something quick. My mum got me this book for Christmas, and it's currently at home for me to read when I'm at home for a few days. This book is from the author of One Day, I haven't read it but I've heard great things about it, and this book has some pretty good reviews as well. The story is about a husband who is trying to save his marriage before his son leaves home by taking the family on one last holiday to bring his family back together and make his wife fall back in love with him. I purchased this e-book as it was such a good price on amazon and I wanted to add some books to my kindle. This book is about a women who finds a sealed letter in the pocket of jacket donated to a charity shop, after reading the heartfelt letter she sets out to find out what happened to the writer and the recipient. I love stories that are written about the past and this one is written about both the 70s and the 30s, so should be something I really enjoy. I got this book for 59p from the Kindle Store, which is such a bargain! This looks like a classic Chick Lit book, which is something I love, I like to read a variety of books, but having the option of something easy and fun to read is always good in my opinion. This is another book that is about second chances and different lives. It seems to be about two different lives of Rachel after 'the accident' one where things didn't end so well and one where things seem to be great. This book was free as part of the Amazon Prime account. Another historical book set in England in the 1960s and Russia in 1911, the story recounts Abbie's story as she seeks comfort from her Grandmother after her mothers death. We are then transported back in time through Grandmother Millie's tales of her past. This has been a book I've wanted to read for a while now, so when I saw it for £2 in the charity shop I quickly picked it up and Im excited to get into it. I love the cover and from the blurb you get very little information, which is something I both love and hate! Described as deeply moving, touching, funny, and bittersweet I think this book is going to be one I enjoy and can't put down. I've never really read any 'classics' but this is something I want to change, especially as a lot of them are free on kindle. I decided to start with The Great Gatsby as I loved the film and think it will be a really fun book written about an era I'm fascinated by. It's also not too long so I'll hopefully be able to read it quickly. So it looks like I better get reading then! If you've read any of these books I'd love to hear your thoughts, or if you've got any recommendations of books I should read this year leave them in the comments. Let me know what you're reading at the moment. I've never been much of a 'film person', I've always enjoyed films, and there are so many that I really love but I've just never been that bothered about them. I've always much more enjoyed books, I love that you create the world yourself and I always feel you get so much more emotion and feeling from a book rather than a film. However having lived with a house full of film buffs, who could easily watch 3 films a day, along with a boyfriend who studies film and works in the film industry, I've been slightly forced into appreciating films in a new way, although I still don't love them as much as most other people seem to. That's why this post is going to be an unusual one. I guess this is a review, or maybe more of just a discussion of the beauty of this film. The Theory of Everything made me laugh and cry, probably both in equal measures. The first word that comes to my mind to describe it is beautiful, just beautiful. I haven't come out of a film feeling so emotional ever before, other than maybe Deathly Hallows 2 but that's because I was saying goodbye to my childhood! The story behind The Theory of Everything is obviously what makes the film so great, along with an amazing accompanying soundtrack, some brilliant acting and great filming. Going in to the film I knew very little about Stephen Hawking's life, other than that he was a world renown scientist who discovered theories relating to black holes, and who suffered from motor neurone disease, was confined to a wheel chair and spoke using a speech generated device. I assumed the film was going to be about science and his discoveries, as well as his life with the disease, and the film was definitely about all of these things but the main theme of the story was love. Love between partners, love between families and love between friends. The film tells the story of Stephen Hawking and his girlfriend, and later to be, wife Jane. It shows the love between the couple, through their ups and downs, through the birth of children and through Stephen's gradual decline into illness. Originally given only 2 years to live, their relationship lasts for 30 years and this is the beautiful story we see unfolding. The film is adapted from Jane's memoir, Travelling to Infinity and it therefore follows the story of them together rather than just of Hawking. There are many instances during the film where tears appeared on my face, watching Stephen trying to cope with his growing lack of ability to move without help, or seeing the struggle Jane faced in coping alone with three children. It felt so real and honest, and Eddie Redmayne's acting could not be faulted in my opinion. For me what I found so beautiful and emotional was the overwhelming feeling of love portrayed throughout the film. Between Hawking and his friends and professor who help him through his time studying while suffering from being diagnosed. You see it in the love between Stephen and Jane, trying to do the best for each other, and also as friends, always loving each other despite the difficulties. You see it in the love between a father and his children, through the love between a friend trying to do the best for both Jane and Stephen. I don't want to spoil the film for anyone who hasn't seen it so I've been purposefully vague in my descriptions, but I really recommend everyone to see this film. It's heartfelt and inspirational, it's funny with some hilarious one liners, but also very emotional and touching. It immediately made it's way into my favourite films list, a list that very rarely gets new additions! Obviously I am no film critic, nor am I anywhere near an expert on film. I just really enjoyed this film and wanted to write about it. If you haven't yet seen this film go see it, but take some tissues! If you've seen it let me know what you thought about it. Also I'm going to leave a link to MND Association, a UK charity helping those with Motor Neurone Disease. You can donate here if you'd like. Being healthy and exercising has never been something I was very good at. 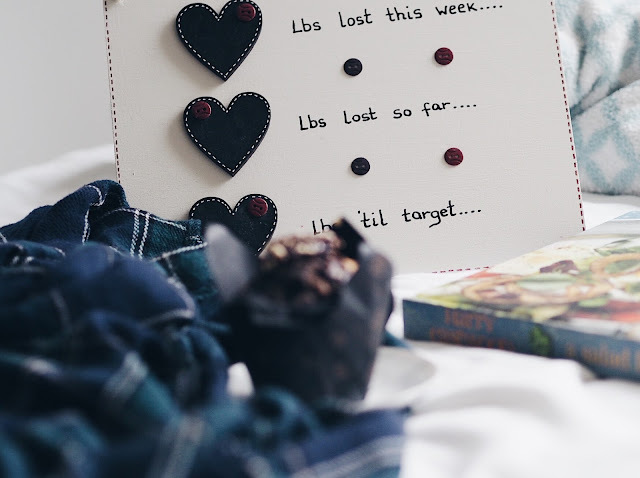 I've always been very up and down in both my weight and my 'healthy' lifestyle, sometimes I'd go weeks or even months of eating healthy and regularly exercising, but on the other side of things sometimes I'd crack and binge, eating my weight in chocolate! This could be a momentary binge or a week or month long downward spiral into both unhealthy eating and thinking. I didn't have a healthy outlook on life, I've never been very kind to myself and that's something that I'm hoping to change in 2015. Since being diagnosed with Anxiety in October my health has entered that downward spiral. I eat terribly to make myself feel better, I do NO exercise and I've put on a lot of weight in a short space of time. The most concerning thing for me is that I'm mentally unhealthy, I've become meaner to myself and my anxiety has taken over my life. Starting a new year is always a great time to rethink and start trying something new, so for me it's time to become healthy and fit and get back to feeling like myself. I know this is going to be a long journey with lots of ups and downs but I'm ready to start taking some little baby steps to get myself going. I briefly mentioned some of my Health & Fitness goals in my goals for 2015 post, but I wanted to elaborate on those and add in some more specific goals. I like goals as they give me something to work towards, but Im trying to keep them simple and not measurable by specific numbers or targets as this can sometimes be too pressurising and makes me more likely to give up. It just doesn't work for me and I don't want to do it anymore. No more counting calories, or cutting out sugar or carbs. I don't like the restriction of dieting, having good foods and bad foods, I don't want to feel guilty or naughty for eating biscuits or chocolate or cake. I don't want to feel like a failure when I 'give in' to my cravings. I want to eat when I need to, and I want to have the freedom to choose to eat what I want, when I want. I'm hoping that changing my outlook on eating and food will help me become healthier in the long run. At the moment Im going to choose the chocolate and biscuits and ice cream because that's what I turn to for comfort, but if I'm no longer telling myself off or feeling guilty for eating these things eventually I'll stop binging on them and instead turn to healthier foods that I also love and enjoy. I'm done with dieting, I just want to eat. I guess this links in with the previous goal, I want to eat healthier because I love healthy food and it makes me feel amazing. I'm not putting pressure on myself to suddenly change how I eat, this is a gradual one and it's going to happen one baby step at a time. Whether it's having an apple instead of biscuits, or it's eating half a big chocolate bar instead of the whole thing. Little tiny improvements are what I'm aiming for. Yesterday I brought myself a blender! It's something I've wanted for ages so I decided to just go for it. I love fruit and vegetables so I wanted to start trying to make smoothies and I'm very excited about giving some recipes a go! Over the summer I started training for a 10k race that I eventually didn't end up doing. I went from not being able to run 1 minute to running for 30 minutes straight, I was so proud of myself and I felt amazing, I started to love running and seeing myself improve each week was such a great feeling. I'n determined to get back into running this year, I'm hoping to be able to run 10k, but at the moment the first step is just to get back into running. Both of these have been known to help people who suffer from Anxiety so this is definitely something I want to give a go and hopefully incorporate into my daily routine. I think starting with mediation is the best way for me to go and once I've gotten into this try and give Yoga a go. I've been tracking my weight for as long as I can remember, I even have a note on my phone with every weigh In I've done for the past 2 and half years. It's time for a change though. I no longer want to track my weight loss, In fact I don't even want to weigh myself any more. I want to track my progress, whether that's in running or exercise, my mental health and how Im coping with anxiety, or even my feelings on a day to day basis. I want to be able to see my journey, the ups and downs but also the gradual improvements. It's all about baby steps in 2015 for me, but I want to be able to see these baby steps grow to giant leaps! Most of these goals will have benefits in helping me become more mentally healthy, but there are also more specific things I want to do to focus on my mental health and learning how to cope with anxiety. I'm not totally sure what steps Im going to take, I'm currently in counselling, i'm on medication and I've looked into cognitive behavioural therapy (CBT) and other self help methods. This is the most important goal for me and all the other goals are helping me towards become mentally healthier. I currently have no routine, I go to sleep when I want and wake up naturally, I do what I want when I want during the day and kind of go through each day as it comes. However I don't think this is the best way to get things done, I need a routine, that means going to bed and waking up at similar times every day, exercising regularly and organising a work schedule so I know what Im doing everyday. This is something I've tried so many times before and I've never been able to stick to it, so I think my starting point is going to be getting my sleep schedule sorted out. I'm tired of being mean to myself, it's time to love myself. This is definitely going to take a lot of time but It's something that I need to do. I'm really looking forward to having a happier and healthier year. 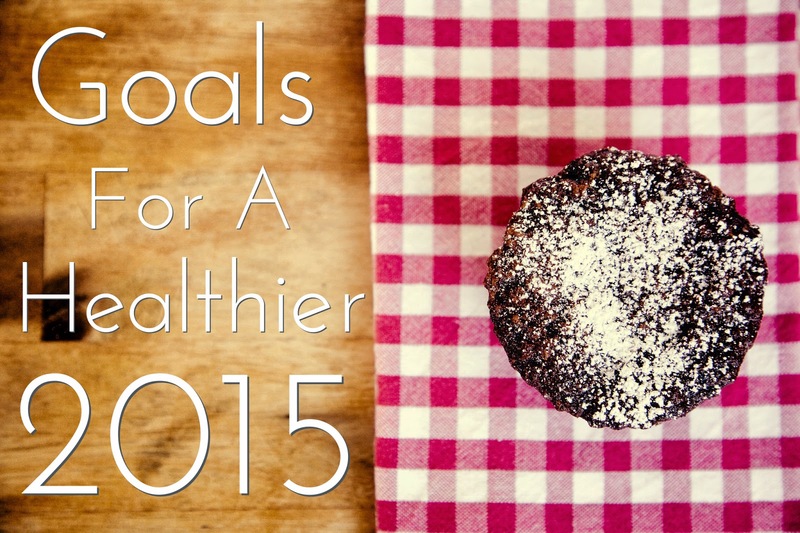 I'd love to hear your health and fitness goals for 2015, whether thats loose weight, run a marathon or pamper yourself more. Don't forget to look after your mental health this year, it's just as important as your physical health! Self love is something I really struggle with, as Im sure a lot of you guys do as well. I'm very critical of myself and I can be really mean to myself as well, especially when it comes to my physical appearance. 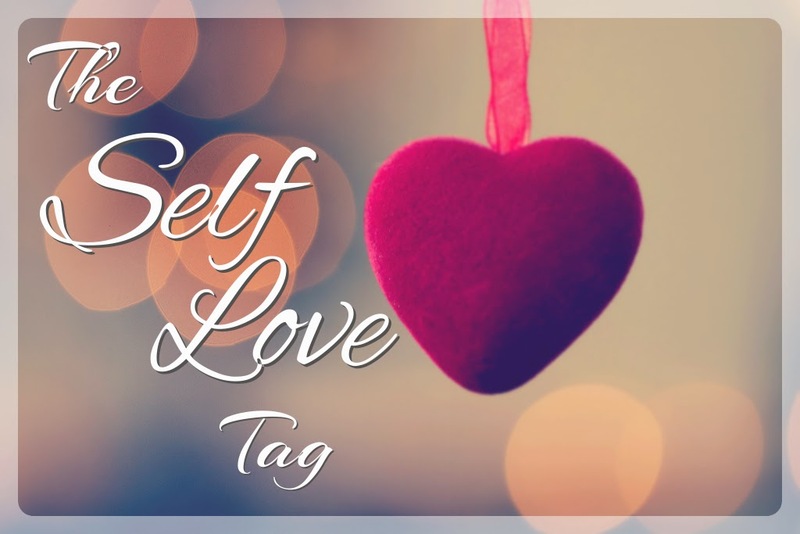 I do really think loving yourself is so important and it's something I'm really trying to focus on in 2015, so when I saw this tag while scrolling back through Jemma's blog I knew it was something I wanted to join in with! 1. What does self-love mean to you? Loving and appreciating yourself despite any flaws or things you may not be totally happy with to do with your body and self. Also being positive and kind to yourself. 2. What is your favorite way to pamper yourself? Painting my nails is one of my favourite ways to pamper myself, I like to put on a film and take my time relaxing and focusing on painting my nails add in a cosy bed, a cup of green tea and some biscuits and I'm in heaven. 3. What are your three favorite hobbies/pastimes that make your soul feel on fire? - Reading a good book. I love reading it takes me away to a different world that I can get involved in and not worry about anything else. - Blogging. I'm so proud of everything I've done with blogging and it makes me feel so great about myself that I've managed to achieve something. I also love the community and the love I always feel from everyone. - Fighting for something I believe in. Im very passionate and have very strong feelings about certain things, and when Im doing something to fight for these things I feel so positive and great. 4. What movie always puts you in a good mode when you're not in the greatest mood? I love a good musical, so anything I can sing a long to really, even if it's a sad one like Les Mis or Lion King, they still put me in a great mood after. 5. Who do you trust so much that you would easily believe in anything and everything they said? My mum. I know she will always have my best interests at heart and will never do anything to intentionally hurt me. I also know she'd be honest with me and tell me if she was against something whereas others might not. 6. What quote totally motivates you? 7. When was the last time you took yourself on a date? What did you do? Just before Christmas was my last 'me' date. My dates are always just shopping and coffee. I love to shop and I prefer to do it by myself as I can spend as much time as I want in shops, I don't mind sitting by myself in a coffee shop either, I like to people watch and treat myself to a yummy latte and a toastie or cake! 8. 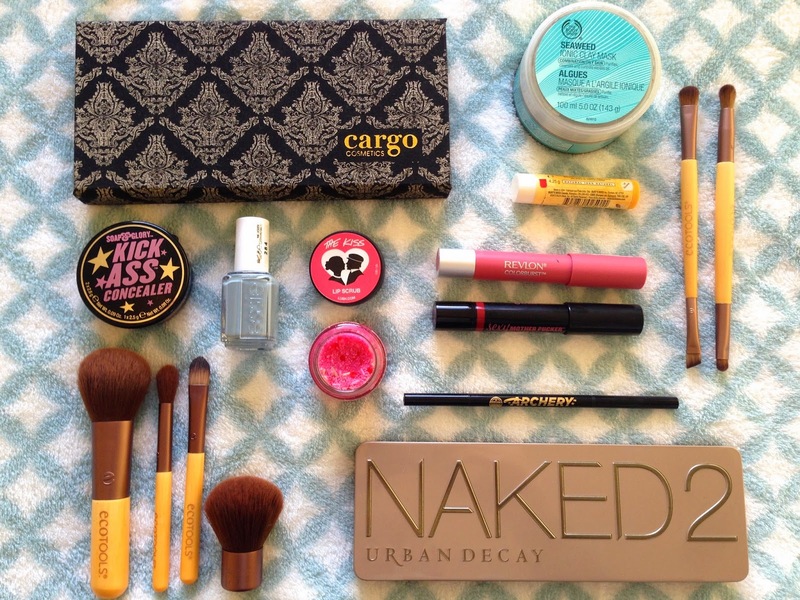 What make-up or beauty products makes you feel like a million bucks? I love a bright lipstick, as I don't wear them regularly so when I do I feel pretty awesome. I also love a nice perfume, every time I smell myself I just feel great. Sometimes I enjoy just having a bit of experimenting with make up when I have no where to go, I like to try new things and put make up on and then don't even leave the house! 9. What is the last thing you did for someone else that made you feel amazing? When my nanna and I went out for coffee before Christmas we saw a little old lady queuing to get coffee, so I went over a offered to queue for her so she could go and sit down, and then my nan asked if she'd like to sit with us. She sat with us and told us all about her life, was lovely to do just a little thing for someone. 10. Do you feel comfortable with and without make-up on? I don't feel hugely comfortable without makeup and it's unlikely that i'd go out without at least a little bit on, but I can and I'd happily let friends and family see me makeup-less. I feel really comfortable with make up on, I'd say I wear a medium amount of make up, not super full coverage or intense, but not nothing. 11. What piece of advice would you give a child about to grow up with the pressures of today's media and its crushing expectations? It's okay to want to change something about the way you look, but you need to love who you are first and not want to change to be more like someone else. I've always struggled with the competing arguments of loving everything about yourself and therefore not being allowed to want to change yourself. I try hard to love myself, and it's not because I don't love myself that I want to change, I think it's because I do love myself that I want to be more comfortable and confident and if it's something I can change then I'll try. 12. What song puts you in a good mood every time? At the moment it's Uptown Funk by Mark Ronson & Bruno Mars, but there are so many songs that put me in a good mood, songs from musicals and disney I love to sing along to and they put me in a good mood. I also love songs like Bohemian Rhapsody, Stand By Me, Ain't No Mountain High Enough etc. 13. 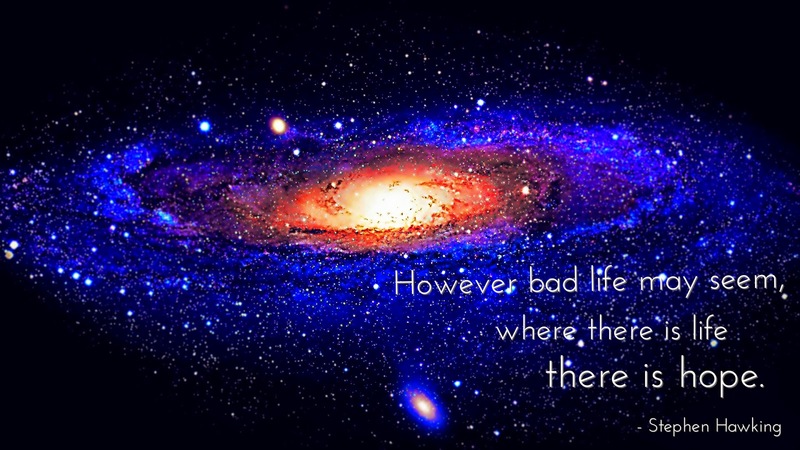 What is the best advice someone gave you or you realized about life? I'm not sure what the best advice I've ever been give or realised is. At the moment the best advice that's currently relevant to me and I've realised is, it's okay to ask for help and needing a break is nothing to be ashamed of. 14. Who makes you giggle like a giggle monster? I laugh a lot, at everything. My friends make me laugh, that's why they're my friends. Josh, my boyfriend makes me laugh a lot, especially when he tickles me! Which I hate! 15. What is something about society that bugs you that you wish didn't? Minor sexism, this is things like sexist jokes, or slightly inappropriate comments. Obviously I feel Im justified to be annoyed by these things, but sometimes I wish they didn't annoy me so much. Little sexist comments and jokes, as well as general sexism is everywhere, and a lot of people don't notice it or just brush it off, and because of this when I get annoyed or mention that something is sexist I often get told to chill out, it's just a joke, and sometimes I wish It just didn't both me so much, because then I'd have an easier life! 16. What is one of your favorite things to do on the weekends? The same as most people I'm sure, relax, spend time with friends or Josh, eat, read, blog, tidy my room and prepare for the next week. Anything that isn't work and keeps me from getting worked up about stuff. 17. What is something you're really proud of that you've done? This blog. 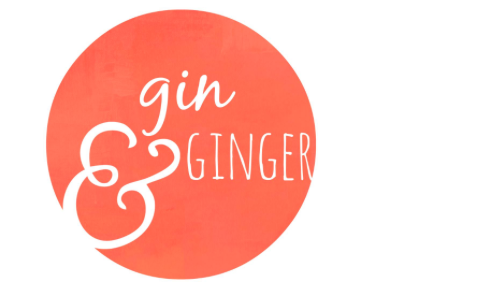 I'm a quitter, I don't stick to anything, Im rubbish with hobbies and clubs, so the fact I've stuck at this blog for so well makes me so proud. I'm also so proud that I've got followers and people who enjoy reading my blog, and that brands want to work with me and invite me to their events. My blog is one of the only things that is solely my work, I have to create and motivate myself to do it, and it's something I love to do! 18. What is one of your favorite memories with one of your friends? How could I pick. There is literally too many amazing friends with too many awesome memories. Spending 3 months in Australia with my best friend was one big awesome memory so I guess I'll pick that! 19. What advice would you give someone who needs a boost in confidence? You are amazing. I know you might not feel that way right now but you are. You're strong and confident and kind and funny and smart and talented and there are people who love you so much. You can do anything, even though you're not feeling great, one day you will, you've just got to start the journey to get there, it will take time but every day that you're positive to yourself rather than negative is a step towards a time when loving yourself in the norm. 20. Lastly, how do you plan on investing in self-love? Working on coping with my anxiety and becoming mentally healthier, as my self-love has dropped dramatically since I started suffering severely. I want to look after myself, both physically with eating well and exercising, but also mentally, taking time for me and relaxing and doing whatever best for me. I'd really love to see everyone do this post, so please link me if you've already done one or if you do one in the future! Also leave me a comment on your thoughts on self love, as well as your favourite way to pamper yourself!